A top hedge fund manager thinks America's oil fracking companies are a joke. 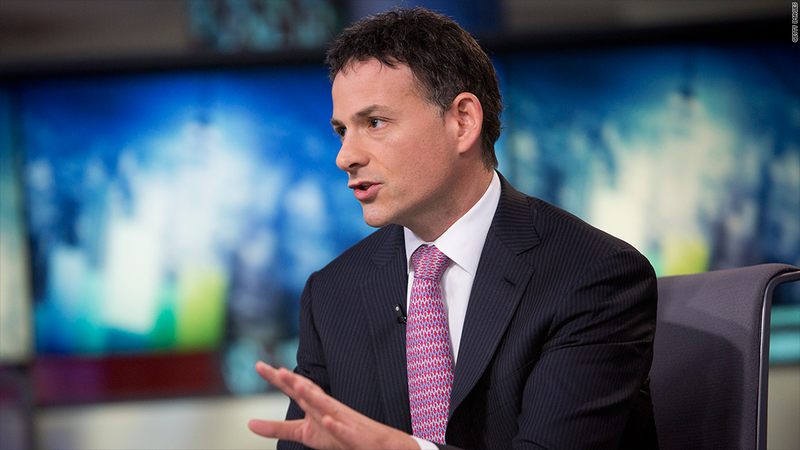 David Einhorn, founder of Greenlight Capital, gave a humorous speech that was nothing short of a takedown on big oil Monday at the Sohn Conference in New York. His conclusion: oil drilling companies are a terrible investment. "A business that burns cash and doesn't grow isn't worth anything," Einhorn said. Einhorn is famous for calling out big companies as overhyped or worthless. He threw darts at Lehman Brothers right before the bank shuttered its doors during the financial crisis, although some of his recent bets haven't done as well. On Monday, he argued that oil drillers spend too much and can't turn a profit in an environment of low energy prices. Oil has dropped from $100 a barrel last summer to under $60 today, causing the stocks of many drilling companies to plummet. CNNMoney: Is oil the best investment now? There's a lot of debate on Wall Street about whether now is the right time to get back in energy stocks. While oil prices are low by historical standards, they have rebounded significantly from earlier this year when they were under $45 a barrel. Einhorn singled out oil driller Pioneer Natural Resources (PXD) as one of the worst, dubbing Pioneer the "mother fracker" of the industry. "Pioneer is dramatically overvalued," Einhorn said, making his case with a speech laden with cartoons, sarcasm and harsh facts. Einhorn pointed out that Pioneer loses 20 cents for every dollar it invests in drilling and other projects. Some investors agreed with him. Pioneer's stock fell as much as 3% Monday afternoon after the speech, although the stock is still up about 13% this year. But Pioneer isn't alone, Einhorn added. It's just a microcosm of the financial woes of oil drilling companies. That may explain why the stocks of Whiting Petroleum Corp (WLL) and Continental Resources (CLR) also slipped a bit Monday.